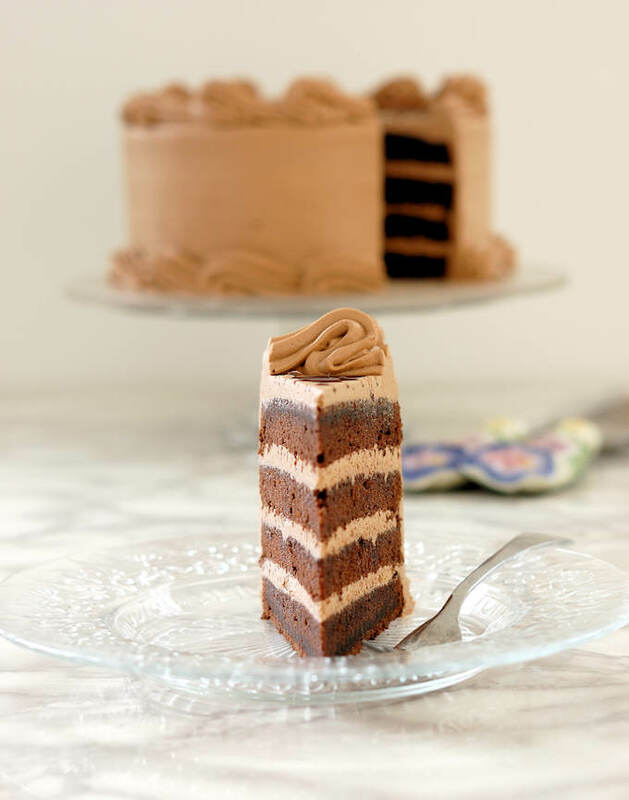 Look at those perfectly tender and buttery chocolate cake layers. 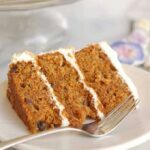 This cake is super soft, yet strong enough for sculpted or wedding cakes. 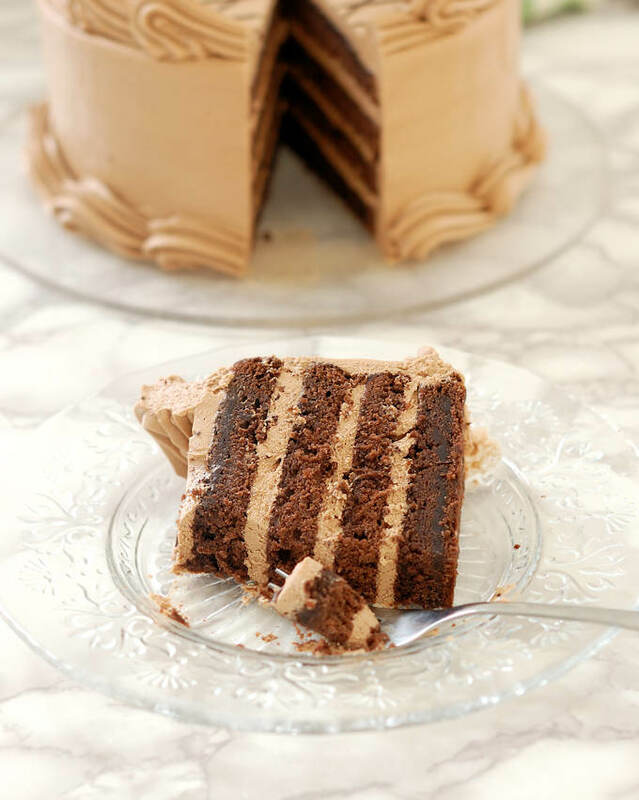 A little rum syrup and Chocolate Italian Meringue Buttercream are the perfect partners for this dark chocolate cake. As promised, this entire month I will be sharing nothing but chocolate recipes. 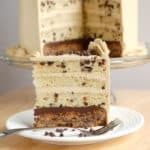 How about we make a perfect chocolate layer cake? 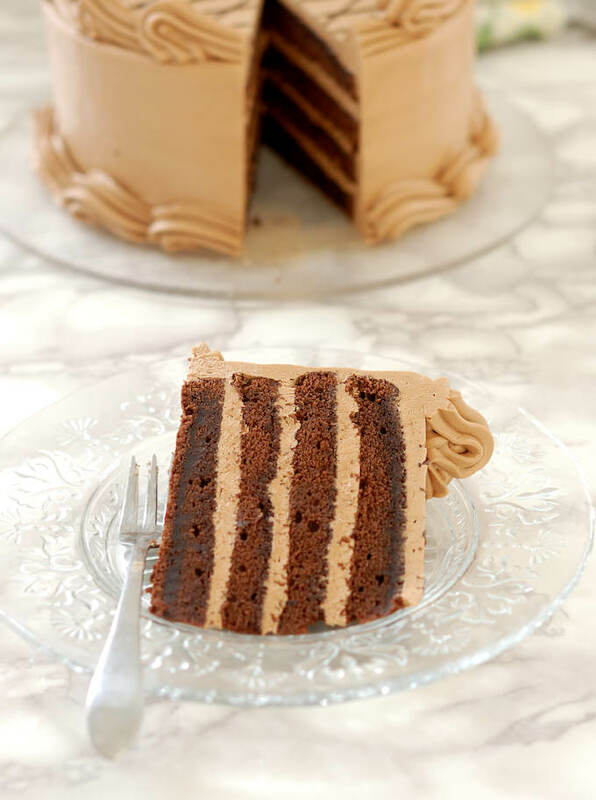 This is my go-to Chocolate Butter Cake filled and iced with Chocolate Italian Meringue Buttercream. This was the standard chocolate cake that I made for 10 years in my cake business. 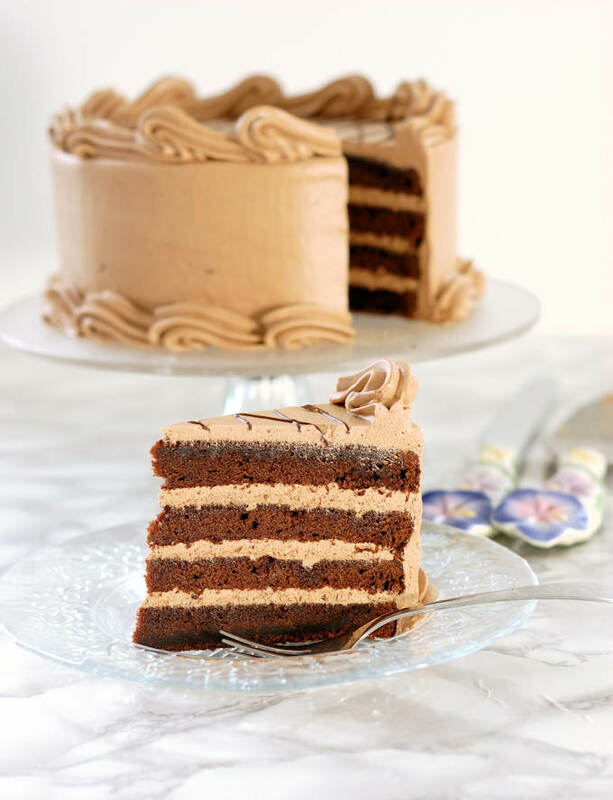 The gorgeous dark chocolate color on this cake comes from the Dutch process cocoa powder. I love the super-fine texture and deep, dark color of this cocoa. For years, this brand was only available in restaurant supply stores, but you can buy Cocao Barry Extra Brute on-line. (*Disclaimer, I earn commission for affiliate sales but I truly use and love this brand). It’s the only cocoa I use. So what is “Dutched” cocoa anyway? Cocoa beans are naturally on the acidic side of the pH scale. Cocoa that is not treated, often labeled “natural” or simply “cocoa”, is naturally acidic and has an acidic, fruity and slightly bitter flavor. Dutched cocoa powder has been alkalized to neutralize the acid in the cocoa. Dutched cocoa has a deeper, darker color than natural cocoa and has a lighter, less astringent flavor. I like the gorgeous dark color and fudgy flavor of a cake baked with Dutched cocoa powder. This recipe is basically a version of my Vanilla Butter Cake. I replaced 1/4 of the flour with cocoa powder, but otherwise it’s the same recipe. You can turn any cake recipe into a chocolate cake by replacing part of the flour with cocoa. Like flour, cocoa has starches that will absorb water. Cocoa also has some protein, but not gluten. So you can’t replace all the flour with cocoa or you won’t have enough structure in the cake. I generally replace 1/4 of the total flour for a big chocolate flavor without compromising the structure of the cake. Even though I used Dutch cocoa powder, which is not acidic, I kept the baking soda in the recipe. The baking soda is there to neutralize the acid in the sour cream and also deepens the chocolate color even more. 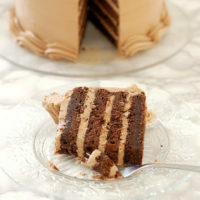 Perfectly tender and buttery chocolate cake layers. 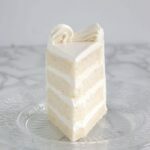 This cake is super soft, yet strong enough for sculpted or wedding cakes. 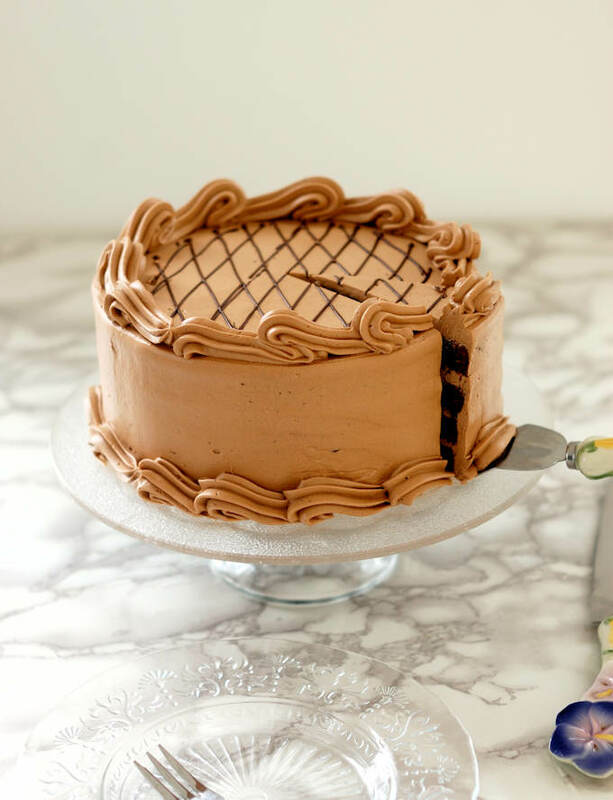 Chocolate Italian Meringue Buttercream is the perfect icing for on this cake. Preheat the oven to 325°F convection or 350°F regular. Line two 8 round cake pans with a circle of parchment paper round or butter and flour the bottoms of the pans only, not the sides. Into a mixer bowl put 1 1/4 cups of the sugar, sift in the flour, cocoa, leavening and salt. Mix on low speed to distribute the leavening. Add the butter to the flour mixture. Mix on low until the butter is incorporated and the batter looks like a paste. Add the other 1/2 of the sour cream to the flour and butter mixture. Increase the speed to medium and mix about 3 minutes until the batter lightens in texture. Scrape the sides and bottom of the bowl. With the mixer on low, add 1/2 the egg yolk mixture, mix to incorporate. Scrape the sides and bottom of the bowl. Add the rest of the egg yolk mixture. Scrape the bowl and mix until incorporated. Set the batter aside. Whip the egg whites on medium high until they form soft peaks. Turn the mixer to medium low and slowly add the remaining 1/4 cup of sugar. Turn the mixer to medium high and whip the whites to full peak. Fold the whites into the batter in 2 parts, folding just until there are no streaks of egg whites. Divide the batter between the 2 pans and spread so to level. 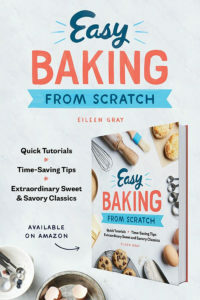 Bake about 25-30 minutes until the center of the cake springs back when lightly pressed or a toothpick inserted into the middle of the cake comes out clean. Cool 10 minutes in the pan and then turn out onto a cooling rack. When fully cooled, wrap in plastic and refrigerate at least 3 hours or over night before assembling. 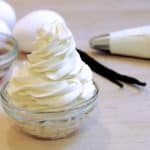 Make the Italian Meringue Buttercream according to the recipe. When the buttercream is done, add the melted chocolate and whisk until combined (see note). Add the rum. Divide the buttercream in 1/2, reserve one 1/2 for icing the cake, use the remaining for filling. 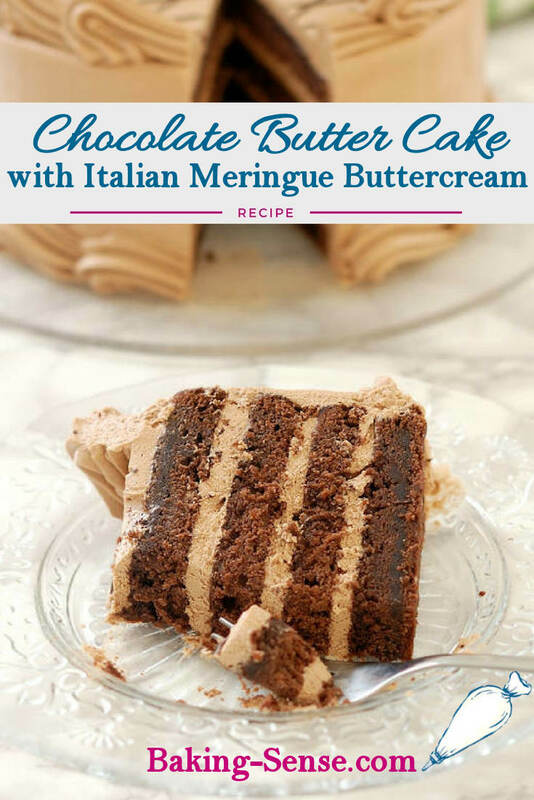 When you add the chocolate to the buttercream, make sure both the buttercream and chocolate are room temperature. If you add the chocolate to cold buttercream the chocolate will solidify and form lumps. Also if the chocolate is very cold the same thing might happen. Do you know approximately how many cups of batter this makes? I’m tying to decide if a double recipe would fit in my standard kitchenaid. Thanks! You can do a double batch in a 5 quart mixer. I’ve done it many times. 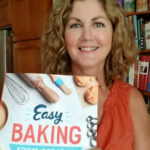 Thank you so much for sharing your recipes. I’ve tried your Lime Layered Cheesecake and I must tell you it is heavenly! Not only that, it came out looking exactly as you said it would, so it looked very professional. I wanted to have a go at your Chocolate Butter Cake but I have a question. You say we should bake the batter in two pans but then you talk about 4 layers (and the picture shows four layers of chocolate cake). Are we supposed to cut each cake batter in two? Hi Liz. I bake the Chocolate Butter Cake in two pans, then split each cake horizontally to make 4 layers. But you can just make two layers if you prefer. I like four layers for more even distribution of the cake & buttercream. 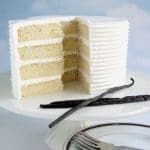 You can visit the Vanilla Layer Cake post to see how I split the layers and build the cake.